Like some supremely beautiful woman, whose beauty is almost impersonal and above human desire, such was Kashmir in all its feminine beauty of river and valley and lake and graceful trees. And then another aspect of this magic beauty would come into view, a masculine one, of hard mountains and precipices, and snow-capped peaks and glaciers, and cruel and fierce torrents rushing to the valleys below. It had a hundred faces and innumerable aspects, ever- changing, sometime smiling, sometime sad and full of sorrow…I watched this spectacle and sometimes the sheer loveliness of it was overpowering and I felt faint…it seemed to me dreamlike and unreal, like the hopes and desires that fill us and so seldom find fulfillment. It was like the face of the beloved that one sees in a dream and that fades away on waking. In the last week of May 1940, Nehru along with Khan Abdul Ghaffar Khan paid a visit to Kashmir on an invitation of Sheikh Abdullah. This was when Nehru talked of Kashmir as a beloved. While Nehru was talking about Kashmir as a “beloved”, there were certain developments in the political scene of Kashmir that were to sow the seeds of a lasting turmoil. In Srinagar, the summer capital of Kashmir, on May 30, 1940 Nehru made an appeal to Kashmiri pandits advising them to support Sheikh Abdullah’s party National Conference (NC) in its struggle to assume power. Only recently, some pandit leaders had resigned from National Conference alleging an "oppressive communal atmosphere". In April 1940, on Id Miladun Nabi day, Sheikh Abdullah made a very religious speech that made the pandit members of the party suspicious of the party’s secular nature. Prominent Kashmir pandit leaders of the party made strong protests, these inculed Pt. Jia Lal Kilam, Pt. Tarachand Bulbul who was popularly known as Kashyap Bandhu and Prernnath Bazaz, one of Sheikh’s closest allies, and a man whose standing is still very dicey even among the preset generation of Kashmiri pandits. The affair took a dramatic turn when Kashyap Bandhu and Jai Lal Kilam resigned from National Conference. But, Rushid Taseer writing in Twarikh-e-Hurriyat Kashmir (pages 90-99 vol II) gives an another reason for their resignation. According to the author, Pt. Nehru’s “beloved” trip was the real reason of discord. On 29th May 1940, Kashyap Bandhu objected to Nehru’s visit and asked Sheikh Sahib with whose permission he had invited Pt. Nehru. This little tiff led Kilam and Bandhu to resign from National Conference. They were to later rejoin the party’s working committee on June 1943. This “beloved trip”, an enthusiastic crowd welcomed, these were Sheikh Abdullah’s followers; as also there were hostile demonstrations by certain people opposed to this alliance between Nehru and Sheikh Abdullah, their numbers yet minuscule. The party jumped into a more culturally inclusive politics in early 1938 after Sheikh Abdullah’s chance meeting with Pandit Nehru at Lahore railway station when the latter was on his way to North West Frontier Province (NWFP). Nehru was on his way to meet the Punjab President of the Pradesh Congress Committee (PCC) Mina Iftikharuddin and incidentally, Sheikh Abdullah and Bakhshi Ghulam Muhammad were the personal guests of Mina Iftikharuddin at that time. They accompanied Mina to meet Nehru at the railway station. The two Kashmiri’s, Abdullah and Nehru, formed an instant bond andNehru asked Abdullah to accompany him to the NWFP. The Sheikh agreed while G. M. Bakhshi got off at Shahadra station. In NWFP, they met Khan Abdul Ghaffar Khan where Abdullah invited both Nehru and Ghaffar Khan for a visit to Kashmir. The outcome of this chance meeting was: In March 11, 1939, Sheikh in his address to the standing committee of the state's Peoples Conference, declared his support of the Indian National Congress. On the 26th March, the Kashmiri delegation lead by the Sheikh met Gandhi in Delhi. On his return to Srinagar, for the first time the flag of Indian National Congress was hoisted at the roof of the headquarters of Muslim Conference at Mujahid Manzil Srinagar. Many of the Muslim Conference members were mystified by the decision that was ratified by the party’s General Council on April 26, 1939. Some Muslim Conference leaders including Chaudhry Ghulam Abbas, a man with considerable clout over the party, opposed this move. Later, these very people and their supporters were to voice their dissent during Nehru’s visit. They were the protesters who couldn’t understand why religion was being kept out of the agenda.
" M.A. Jinnah, unlike Jawaharlal Nehru was extremely reluctant at this period of time to involve himself directly (or the Muslim League which he headed) in the internal affairs of the Princely State; such action would in his eyes have been constitutionally improper. Instead it seems more likely that Jinnah found himself struggling against the Kashmiri leadership of the time, its private resolve and Congress influence on it. His talk about "Muslims have one platform, one Kalima and one God... All Muslims must come under one flag" found no appreciation. Lines were going to be drawn and the process had started. "I can say with certainty that he [Sheikh Abdullah] is in the wrong. Having got himself ensnared by the Congress, which is thoroughly a Hindu organisation, he has put the ship of his community in a whirlpool. I understand that he is doing this out of ignorance and some misunderstanding. But I am fully satisfied that he will soon realise his mistake and will return to the right path, and will come to know that those whom he is considering his friends and at whose beck and call he is acting, are not his true friends but his enemies." Yet, in his 1936 private visit to Kashmir, Jinnah in his liberal avatar, had almost ceremoniously advised harmony between Hindus and Muslims. Another significant visitor to Kashmir in the year 1944 was V.D.Savarkar, the man behind Hindutva ideology. It is equally interesting to note that Pandit S.N.Fotedar, the President of Yuvak Sabha told Savarkar that Hindu Fundamentalism was as alien a culture to Kashmir as Muslim Fundamentalism was. Much later in 1953, a point man of Hindutva, Shyama Prasad Mukherjee, was to loose his life in Kashmir. In the changed political scenario post Quit India Movement of 1945, Nehru along with Azad and Gaffar Khan, all recently released from prison, paid a visit to Kashmir and was given a rousing reception by NC, the reception included a splendid river procession. There were threats of disruption issued by the MC, and disruptions there were. This time the voice of dissent was stronger than ever, and on his arrival in Srinagar, the people took to streets in large numbers shouting slogans like "Go back Nehru". The Kashmiri society started to segregate along religious lines. On 7th August 1945, Nehru advised Kashmiri Pandits (reported in the Hindu of 10 August) “[…] to join it (NC) in much larger numbers and thereby influence its decisions." Nehru was counting on Sheikh and he expected a broad support for him and did all he could to make it possible. In May 1946, "Quit Kashmir" movement started against the Dogra rule. The movement had the support of the Indian Congress leadership. On May 15, 1946, the Dogra rulers arrested Sheikh Abdullah and other Kashmiri leaders. Nehru came to Kashmir as defense counsel for the Sheikh. The race to win over Kashmir was about to start. M.K. Gandhi paid a short visit to Kashmir in early August of 1947 at the insistence of Bakshi Ghulam Mohammed, the same man who in 1964 was to become party to another dramatic episode in the history of Kashmir conflict: His arrest and detainment under the Defence of India Rules despite the support of the majority of MLA's in the State Assembly, another Indian blunder in Kashmir. During this visit that lasted from 1st to 4th August, Gandhi tried unsuccessfully to influence the Maharaja and set up a credible constitutional government and to free Sheikh, who was in the prison at that time. Stanley Wolpert , the man who started his career with the imaginative book Nine hours to Rama, writes in Gandhi’s Passion: The Life and Legacy of Mahatma Gandhi that Gandhi was persuaded to visit Kashmir by Lord Mountbatten. Before leaving for Kashmir, Gandhi announced: “I am not going to suggest to Maharaja to accede to India and not to Pakistan, the real sovereign of the State are the people of the State. If the ruler is not a servant of the people then he is not the ruler.” True to his nature and principles, Gandhi’s stated position on the subject of Kashmir was “ The people of Kashmir should be asked whether they want to join Pakistan or India. let them do as they want. The ruler is nothing. The people are everything.” Stanley Wolpert quotes these lines in his book, suspicious minds would notice the omission of third option, the word “independence” in Gandhi’s speech. Gandhi’s visit to Kashmir in July-August 1947, his meeting with the Maharajha on August 1, dismissal of R.C. Kak from the office of Prime Minister on August 10, release of Sheikh Abdullah on September 29, after tendering an ‘unqualified apology’ in his letter of September 26, strengthening of the road link between Pathankot and Jammu, and the scheme to construct a boat bridge over the river, all would seem to suggest that the ground was being prepared for accession of the State to India; at leasr, the possibility was not being ruled out. Mahatma Gandhi was humiliated publicly and the secular mission frustrated by the gang of three--the Maharaja, RC Kak and Swami Sant Dev--the dirty Troika. The gang of three harmed the whole of India, particularly the KPs. The windows of his car were shattered in Baramullah, where an angry crowd protested his visit. One thing is clear, the Kashmir situation was starting spiraling out of control. The lines of alliance got blurry and the cold waters of Jhelum got muddier. Much later, the fabled friendship between Nehru and Sheikh was to turn sour over the issue of autonomy of Kashmir and the things came to a head in 1953 when he was dismissed as Prime Minister by the Nehru government and jailed for eleven years, accused of corruption and separatism. This was the nadir. Kashmir turned out to be Calais of more than just him, and many of them didn’t even have a heart. 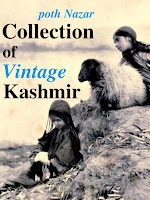 +Among other things, Kashayap Bandhu advised women folk to get rid of their pheren, the long woolen robe that is still synonymous with kashmiri way of life, as it was making them lethargic and according to him it was a stumbling block in the progress of Kashmiri women. 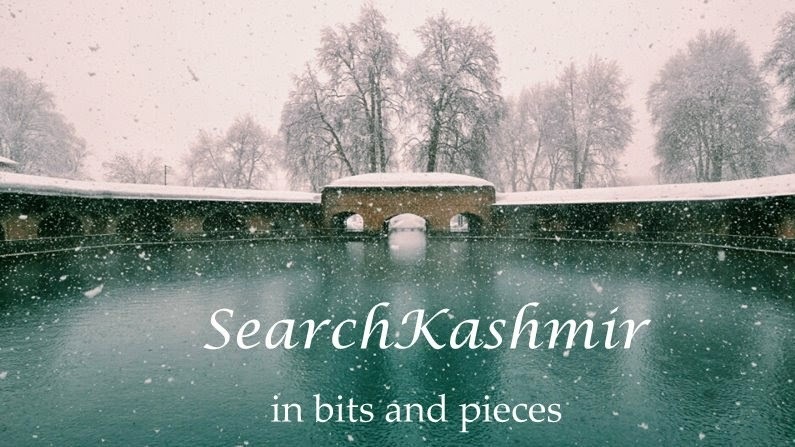 Pheran is here referred with the name narivaar. In Kashmiri language narivaar is a clothing that covers the arms and shoulders. Besides Narivaar, a pheran comprises of two more sets of clothing, a Zooj and a Pooch. This clothing does have a tendency to attract dust. Bandhu and his bunch of close associates started a door-to-door movement and community meets. Disdainful, some pandits critical of his thoughts began to call him Kash Bandooq, a rifle filled with sawdust. "Kashmir Hamara Hai" historical speech of Sheikh Mohammad Abdullah in presence of Pandit Nehru in Lal Chowk. The first important speech of Pandit Nehru in Lal Chowk. "India will never let down kashmir" and the Indian army will fight on till the last raiden is driven out. Excellent blog post! It is very informative and revealing. Is there any additional resource on Kashyap Bandhu's reform movement?